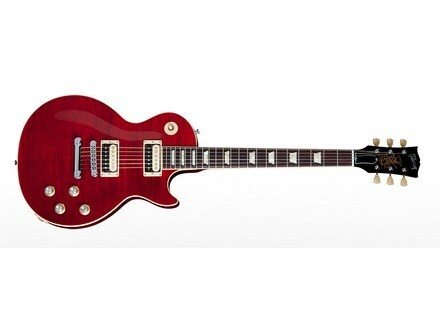 Slash Signature Rosso Corsa Les Paul, LP-Shaped Guitar from Gibson. Gibson USA announces the availability of the newest Slash Signature guitar, which sports a brand new Rosso Corsa finish. The Gibson Slash Signature Rosso Corsa Les Paul is based on the Les Paul Standard guitar with some features requested by Slash as well as a brand new Rosso Corsa, or Racing Red, deep red transparent finish with a hand-sprayed nitrocellulose lacquer. European public price is approximately 2600€. More info at www.gibson.com. Fargen introduces the Blackbird VS2 combo Fargen Amps adds to its guitar combo line the Blackbird VS2, a Blackface-type all-tube amp inspired by 60's models. The SansAmp Blonde Deluxe is available Tech21 launched the sale of its SansAmp Blonde Deluxe pedal, a limited edition available only on the manufacturer website. The Suhr Koji Comp is now available Suhr finally launches its Koji Comp compressor pedal, a model that had been introduced last february.